Whatever you’re into, the challenge is the same—making sure you’re well prepared and nothing’s been left out. 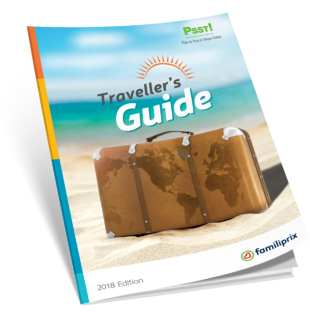 And to help you rise to the challenge, Familiprix presents its newly revised Travel Guide. It’s all here! We cover everything from vaccinations to travelling with kids and the most common bugs you’re likely to encounter on the road.